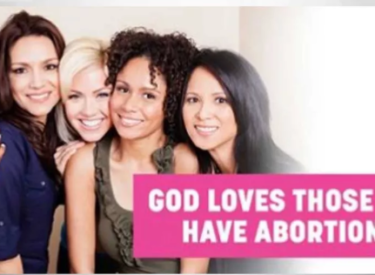 OKLAHOMA CITY (AP) – An abortion-rights group says billboard along busy interstates in Oklahoma City that say God and people of faith support women who have had abortions are supported by two Jewish rabbis and ministers of several non-denominational churches. The Oklahoma Call for Reproductive Justice says the messages went up Monday. Spokeswoman Emma Newberry-Davis says the billboards will be up for a month and weren’t timed to correspond with any political activity, but noted they coincide with confirmation hearings for U.S. Supreme Court nominee Brett Kavanaugh. Abortion-rights advocates fear Kavanaugh will tilt the high court to the right, possibly reversing or weakening the 1973 decision establishing a woman’s right to have an abortion. Officials with the National Right to Life and its affiliate, Oklahomans for Life, didn’t return telephone calls seeking comment.